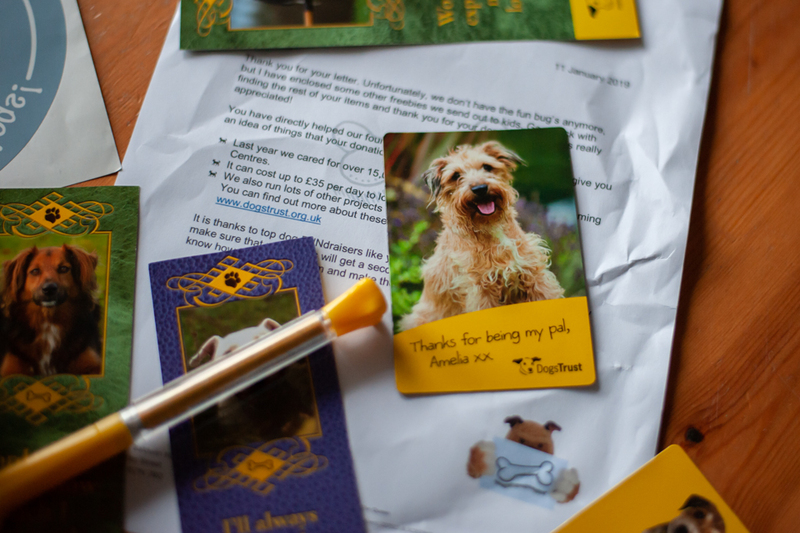 Isn't this exciting! 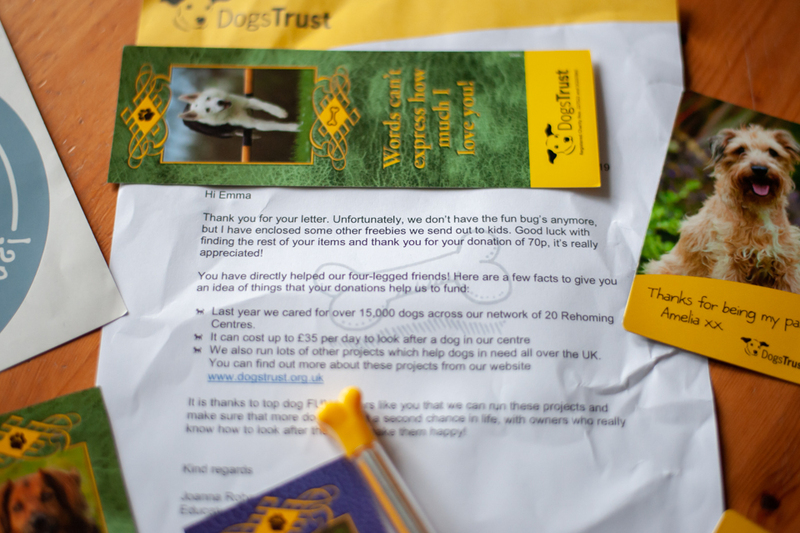 The Dogs Trust have done us very proud and replied to our letter. 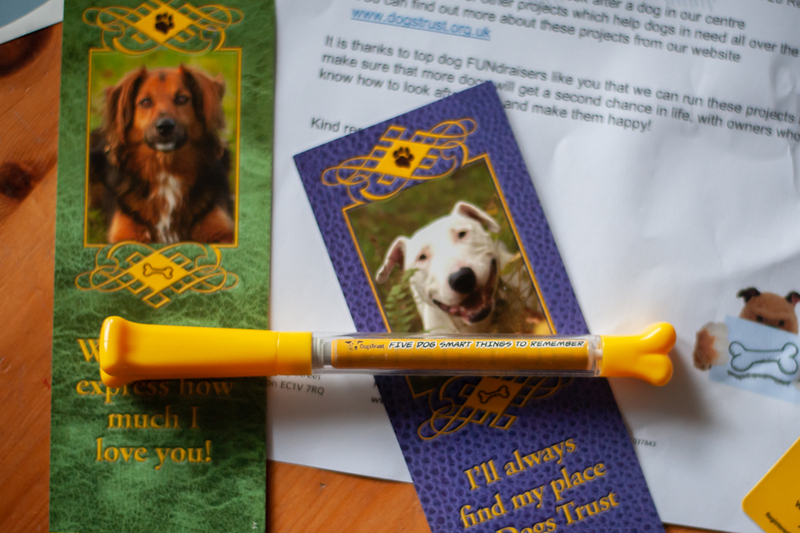 They do not have any fun bugs anymore but instead we got bookmarks, magnets, a car sticker and a very flash pen shaped liked a bone that has a special inside bit you can pull out to learn all about dog safety. This pen is my pen and no you may not use it.